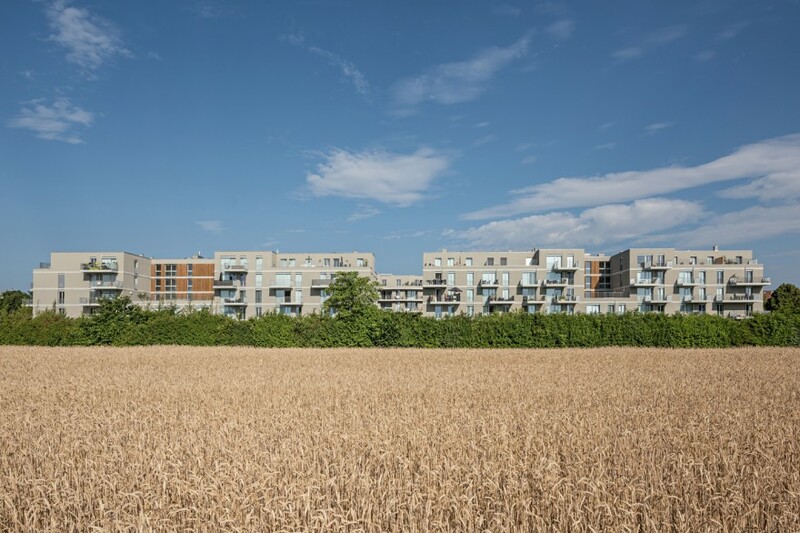 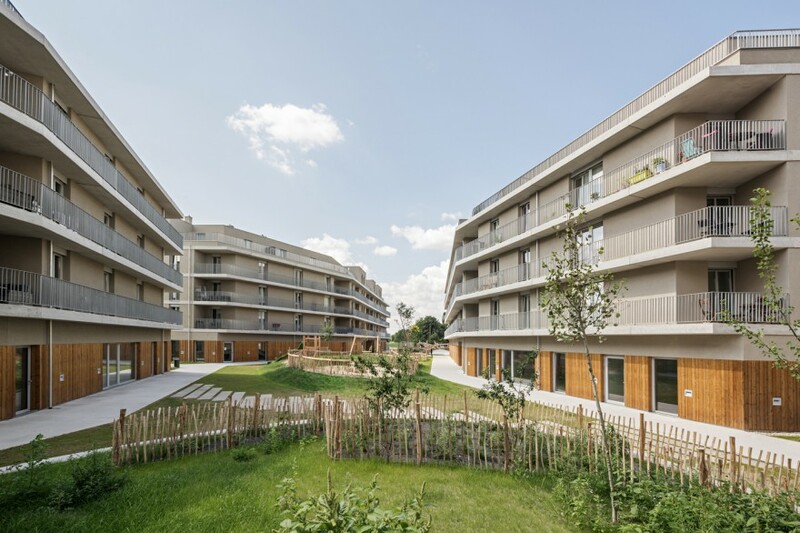 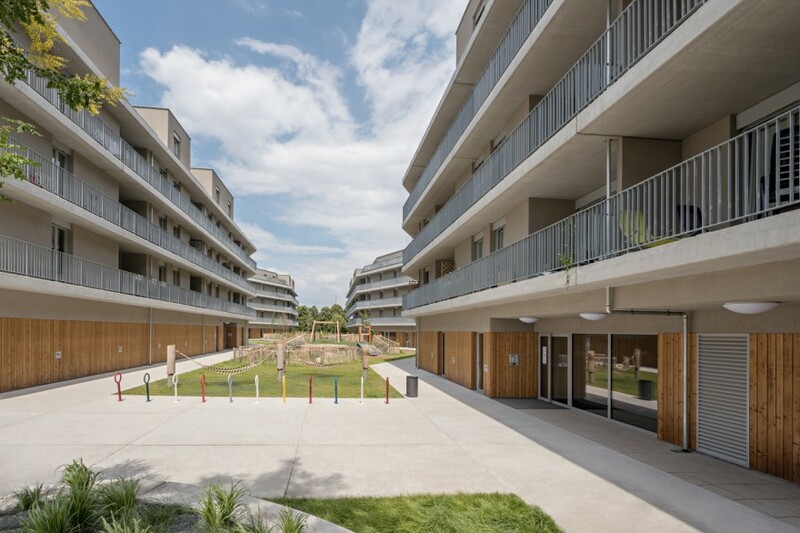 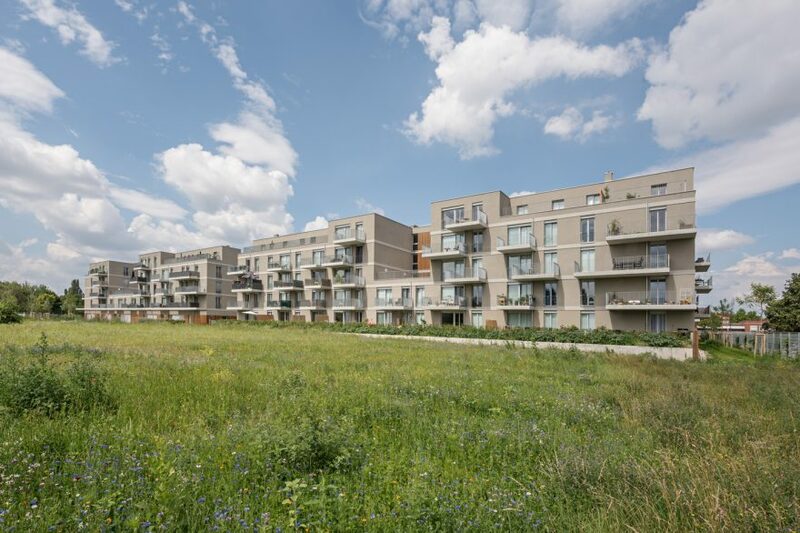 Four buildings with a total of 200 apartments frame a generous outdoor space similar to what in former times was the central grassy commons in a village. 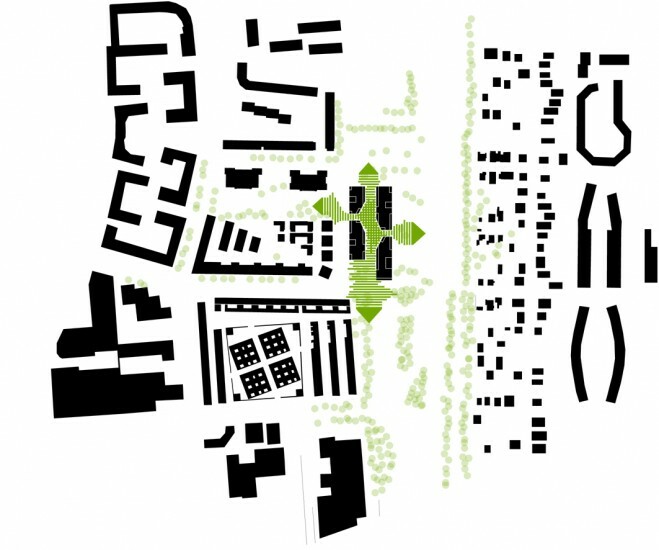 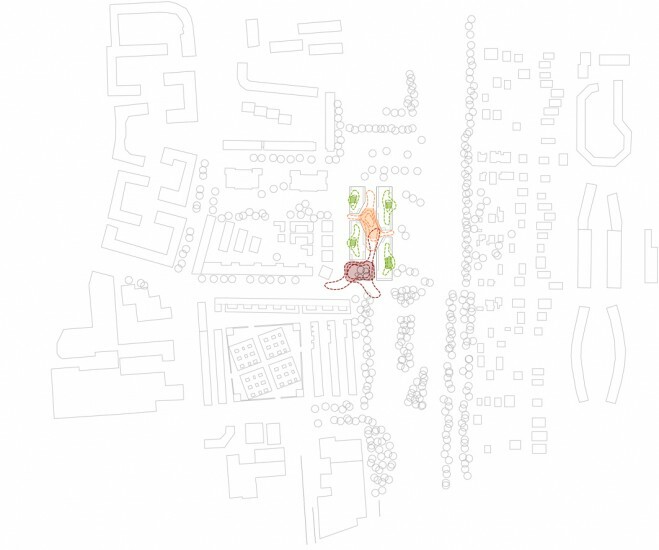 A network of walkways cutting through the lawn area connects the estate with the adjacent streets and green spaces, upgrading the entire neighborhood through openness and accessibility. 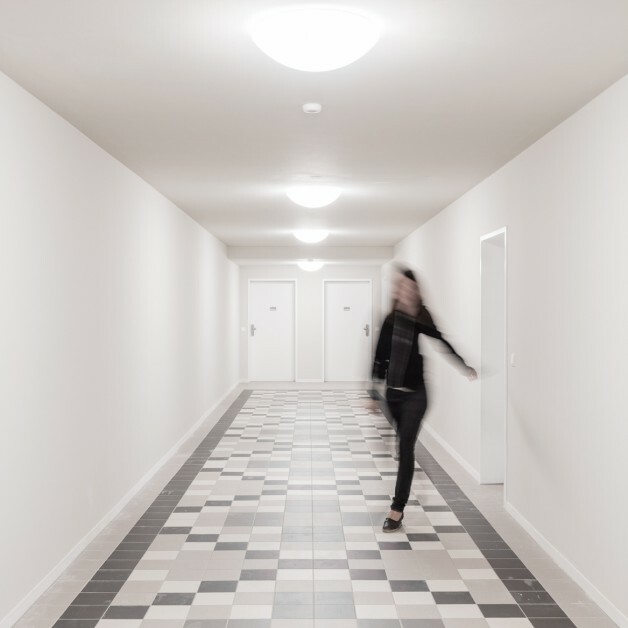 The commons area is the clearly defined community center, which offers a variety of facilities including, aside from a community hall, an indoor playground plus wash-room, a bicycle repair shop, an open-shelf library and a swap shelf for everybody. 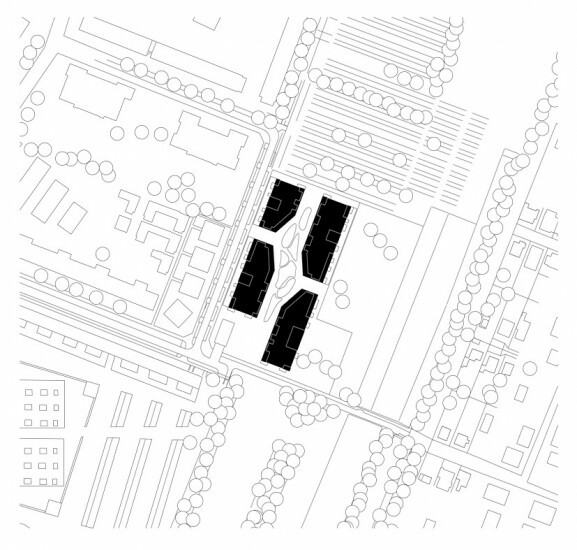 An offering of outdoor facilities complements the respective built-up community spaces. 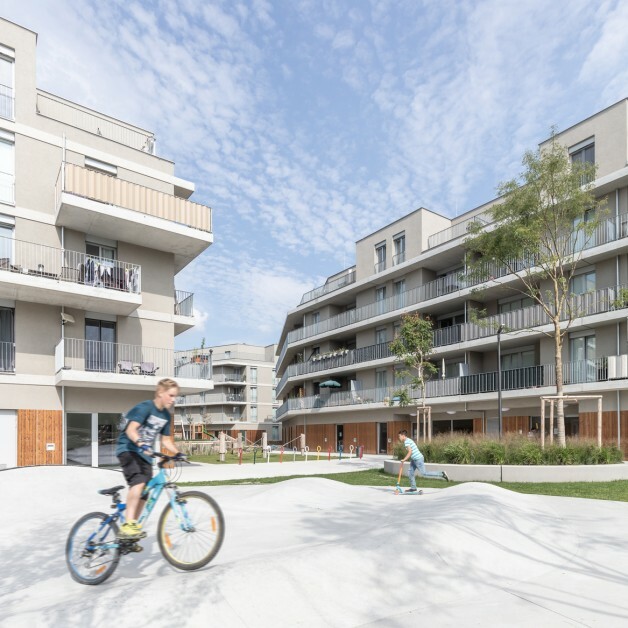 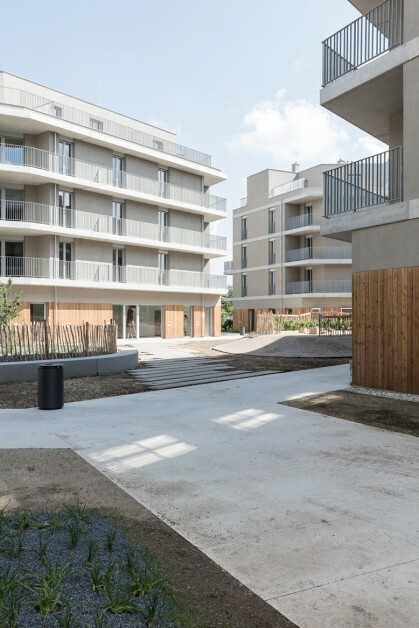 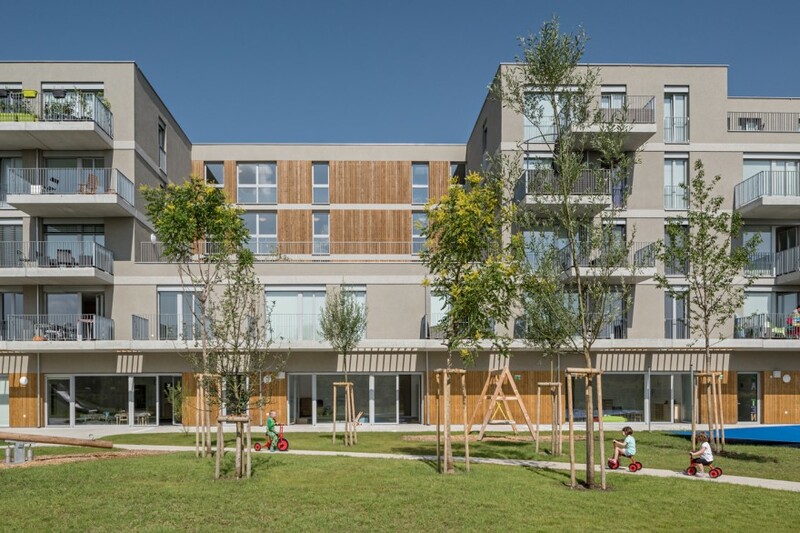 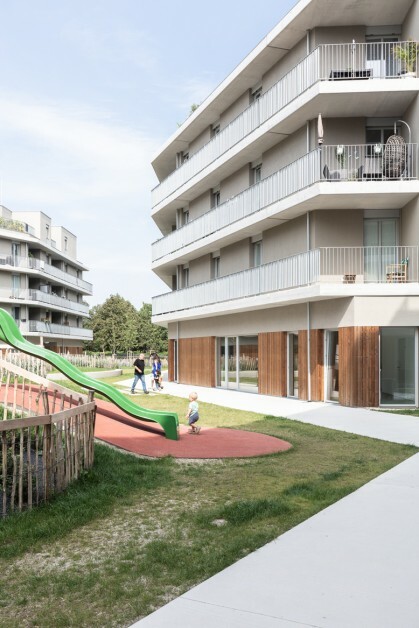 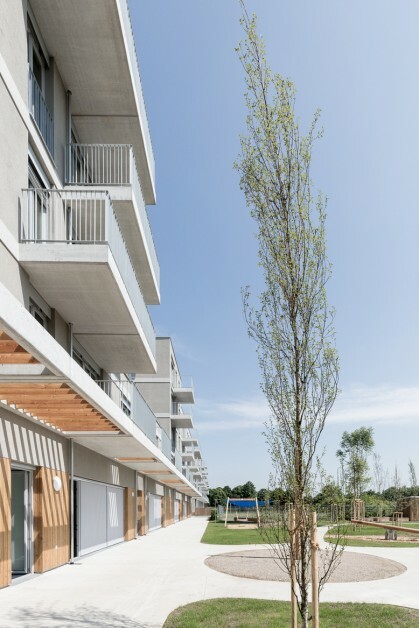 The newly formed quarter also provides a kindergarten and shared apartments for young refugees as well as a plaza on Traviatagasse with a youth club as a neighborhood meeting place. 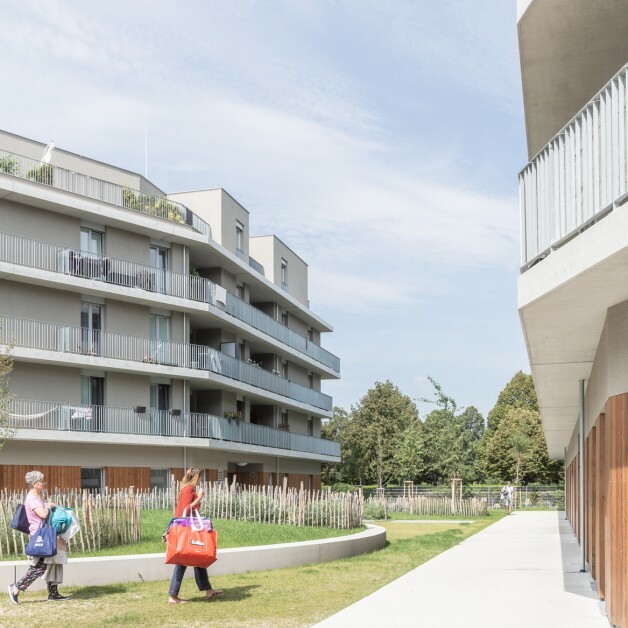 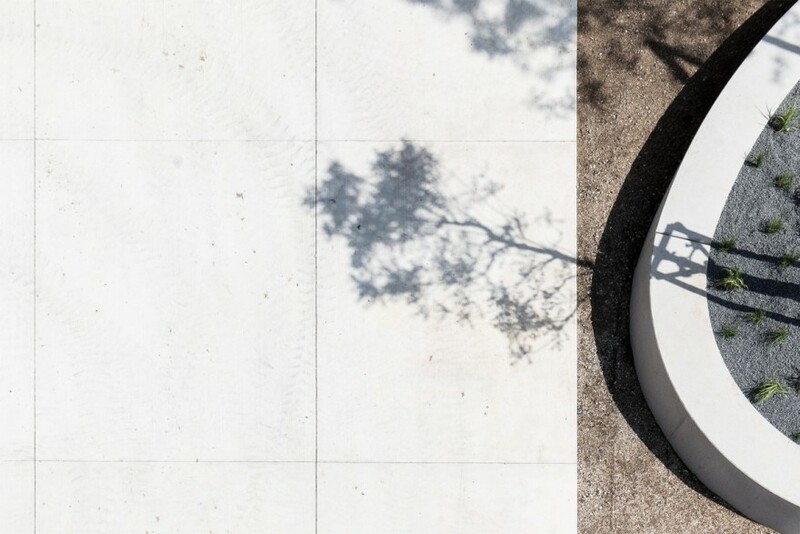 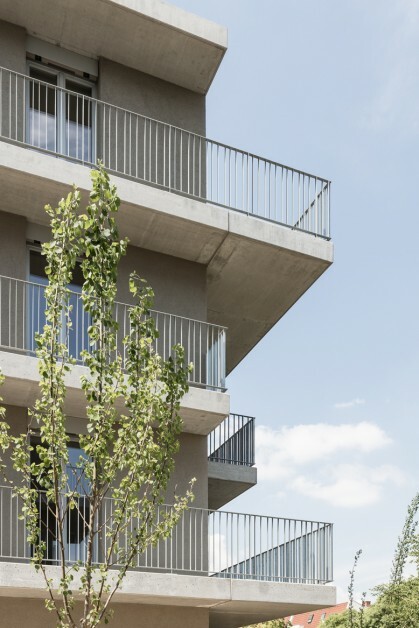 The floor plans of each house also include, aside from continuous balconies and loggias, a central community terrace for good-neighborliness and shared activities such as raised-bed vegetable growing. 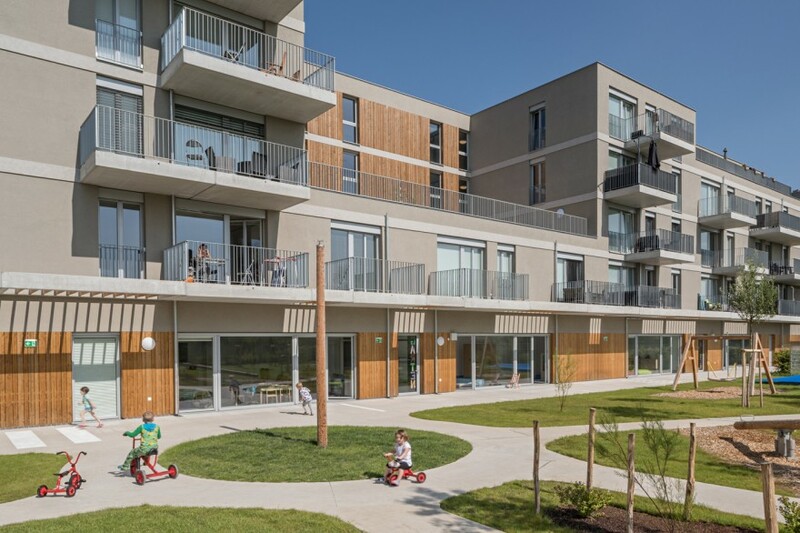 The result is a high-quality open housing estate which contribute to creating a vital and lively intergenerational neighborhood.